Countdowns · Crochet · Entangled! It’s “I Love Yarn” Day! 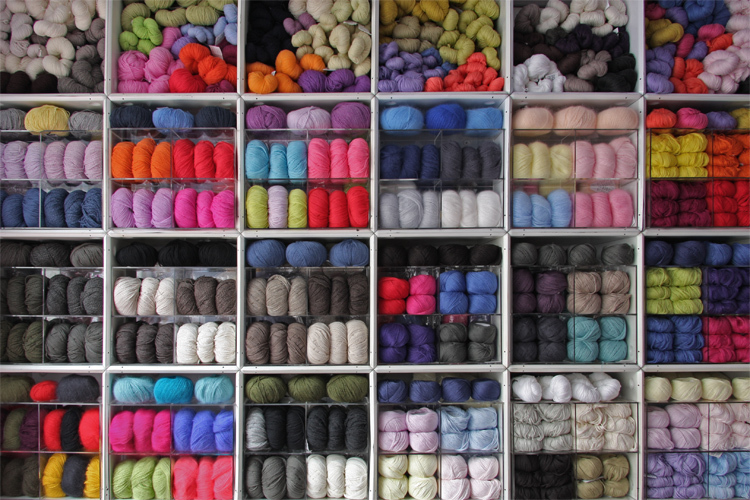 Is your yarn stash this organized? Today is “I Love Yarn” Day! How are you planning to celebrate? Do you have any special yarncrafting plans for today? Perhaps you can buy some yarn to add to an already-out-of-control stash. Get some ideas here. Share your ideas with us. Let us know what your planning to do today. As for us here at Interwoven Creations by Crystal, we are planning to continue our preparation for the Holiday Season. Christmas, Kwanzaa and Hanukkah will be here before you know it. Our preparations begin early because many of our clients want a special creation for themselves or their friends and family members for these gift-giving occasions. Perhaps a custom yarncrafted piece interests you, too. Some clients are ordering other items for themselves now to stay warm and toasty against the chilly weather. We are in the heart of fall! Summer is a long-distant memory. Other clients are preparing for the arrival of a baby to their families. Whatever the occasion may be, the yarn and the hooks have been busy. Make sure you contact us soon to place your order for a custom creation or check out our Etsy shop for instant gratification. Visit our Facebook fan page and “Like” us and follow us on Twitter to learn of exclusive discounts and news. Don’t get left out of the loop! Happy “I Love Yarn” Day! Woah. That’s a lot of yarn.